Lawyers say Boycott, Divestment, Sanctions movement against Israel is ‘lawful exercise of freedom of expression’. Lawyers backing Friday’s statement include South African jurist John Dugard, who served at the International Court of Justice, and Guy Goodwin-Gill, former legal adviser for the Office of United Nations High Commissioner for Refugees (UNHCR). “The right of citizens to advocate for BDS is part and parcel of the fundamental freedoms protected by the International Convention on Civil and Political Rights,” said Kolb, who was part of the group that signed the statement. BDS groups welcomed the lawyers’ statement, terming it a “defining moment” before saying the backing would help quell attempts by pro-Israel groups to proscribe the movement. 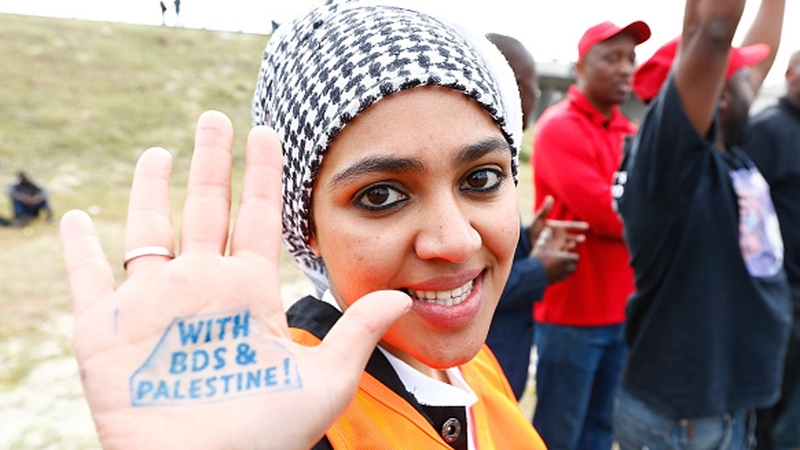 “This is a defining moment in the struggle against Israel’s patently repressive legal war on the BDS movement for Palestinian rights,” said Ingrid Jaradat of the Palestinian BDS National Committee, a coalition of civil society groups at the forefront of the movement. “Leading European jurists have now confirmed that advocating and campaigning for Palestinian rights under international law is a legally guaranteed right for Europeans and indeed all citizens of the world. In France, Prime Minister Manuel Valls has tried to equate the BDS movement to the “loathing of Jews”, a charge activists reject. A French court in Tolouse overturned a ban on a BDS event in May, describing attempts by the town’s mayor to stop the gathering as illegal. Supporters of the BDS movement argue attempts to stifle it are proof that it is an effective means of protesting Israel’s occupation of Palestinian land. The movement is particularly visible among students and activists on campuses across the world who are attempting to pass motions backing Israel’s boycotts despite strong opposition from pro-Israel groups. “BDS is a call from 171 Palestinian civil authorities from within the occupation so essentially they [opponents] are just trying to block the Palestinians,” Choudhury told Al Jazeera.